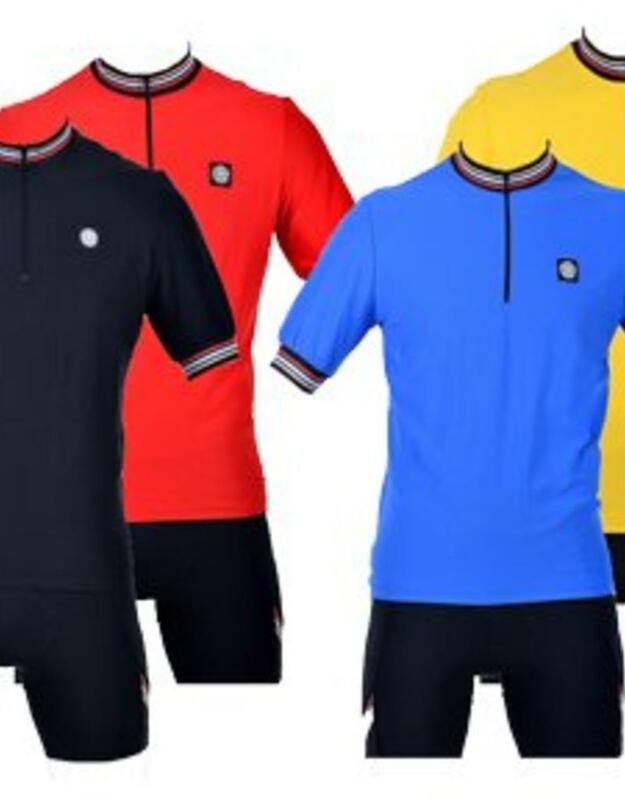 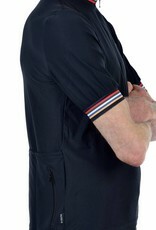 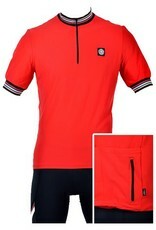 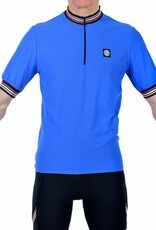 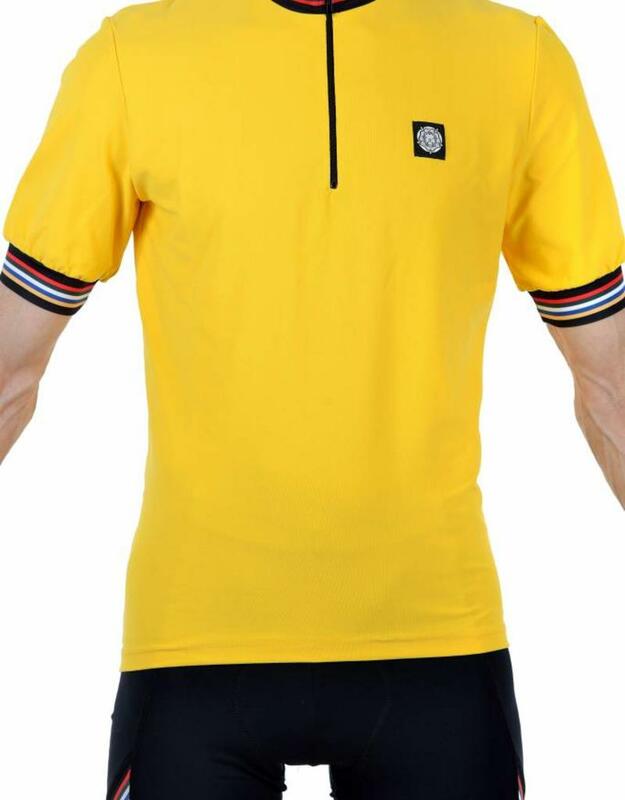 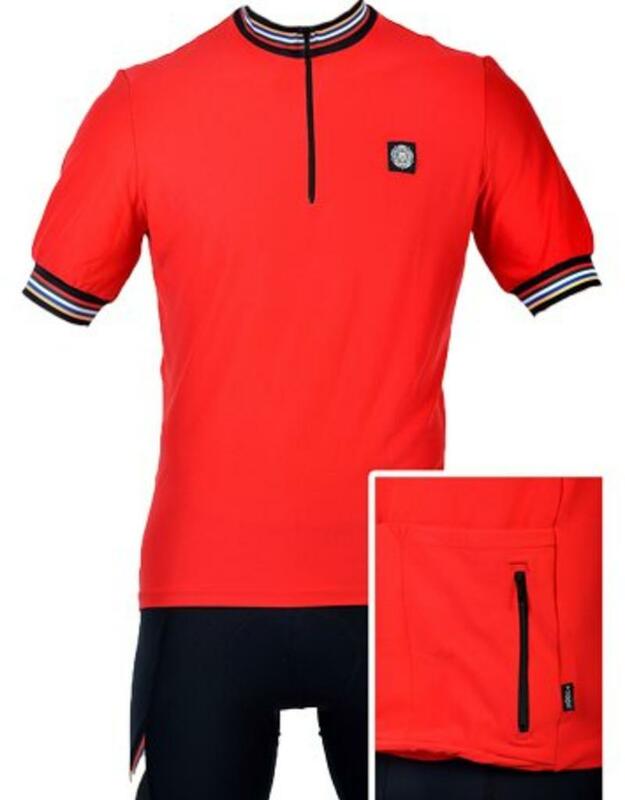 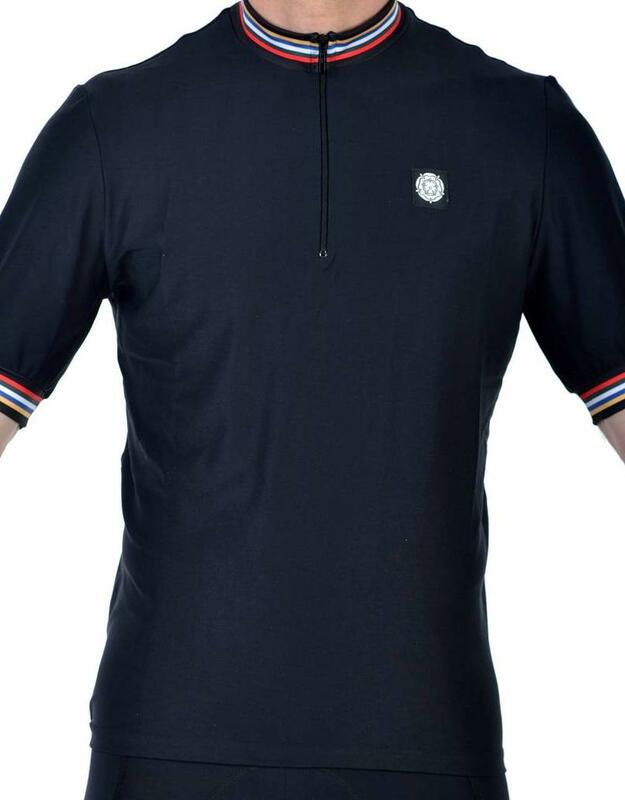 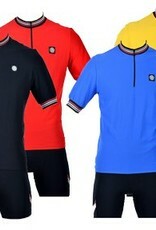 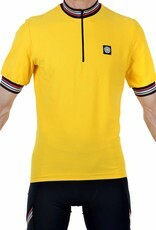 Short Sleeved Road Jersey. 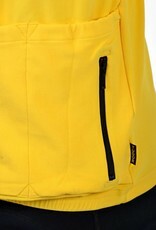 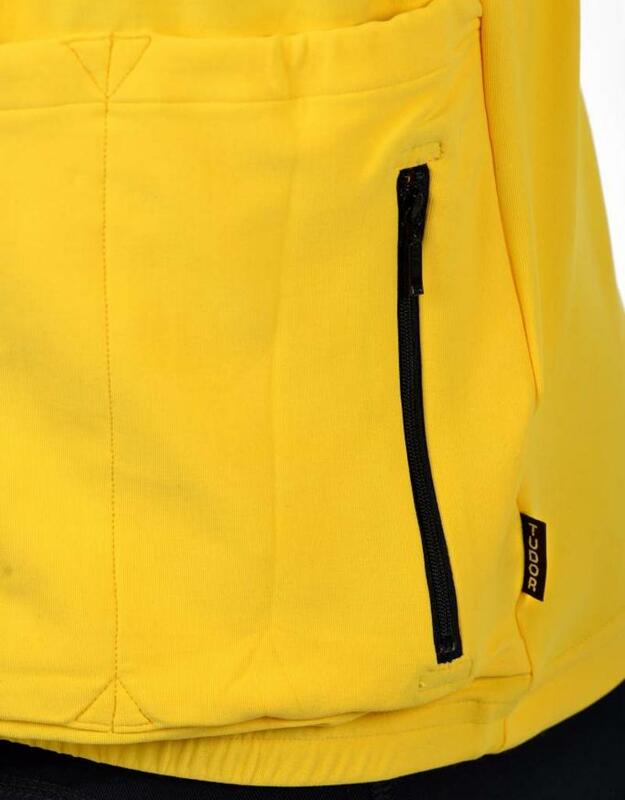 Short Zip with three open and one zipped rear pocket. 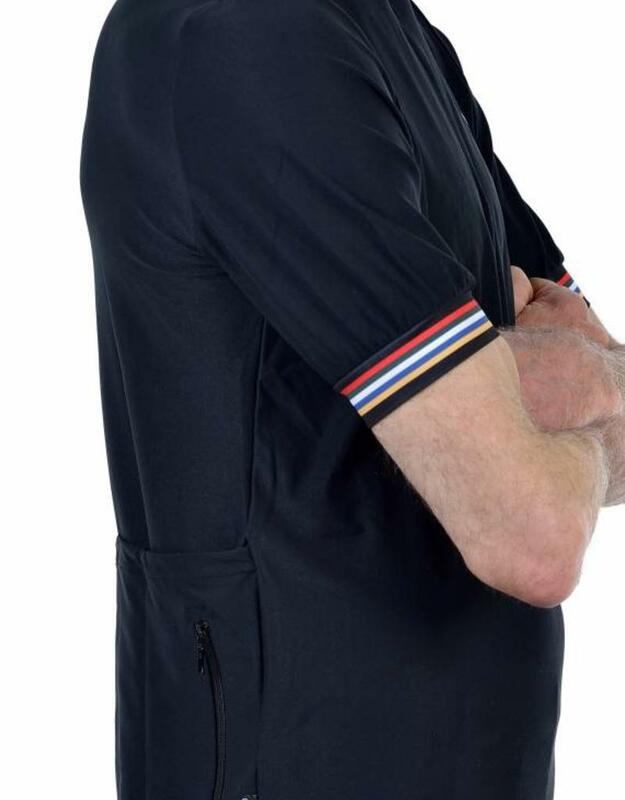 World Champ Bands at neck and cuffs. 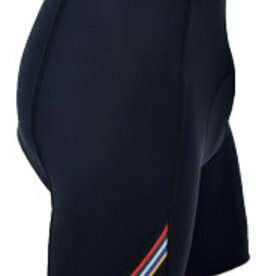 Made from a Meryl/Lycra fabric which has "the feel of Cotton but with the benefits of modern technology". 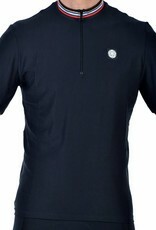 It has a similar soft feel but is faster drying. 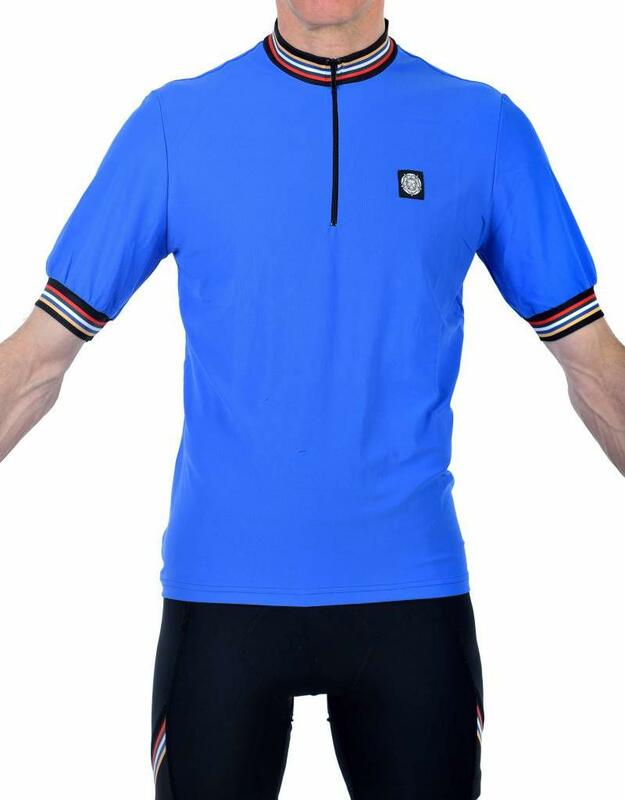 Warm, fully breathable and with excellent moisture management properties which wick moisture away from the body and allow it to dry faster.